Some directors take a while to get into their stride, ironing out their craft over a series of films. For Neill Blomkamp, the opposite is true. The director nailed it first time with District 9 (2009), and the film struck a chord with critics and audiences alike. 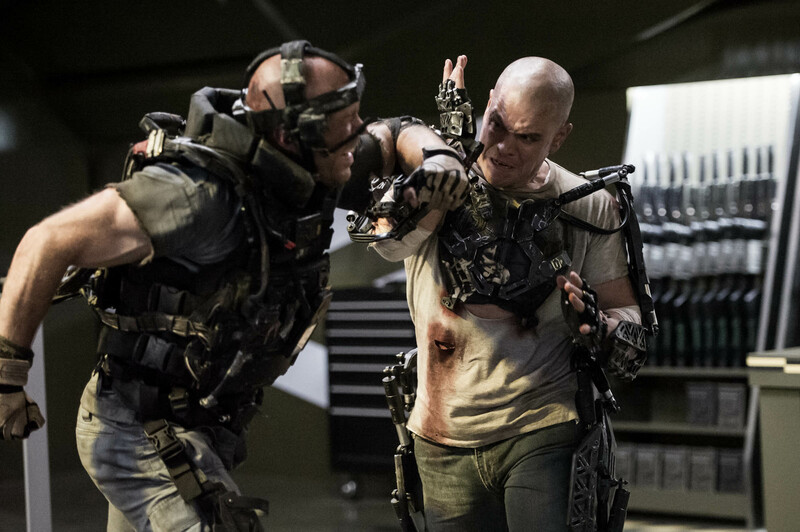 It’s no surprise then that his follow-up Elysium (2013) is one of the most anticipated films of the year. Thankfully, Blomkamp hasn’t disappointed. 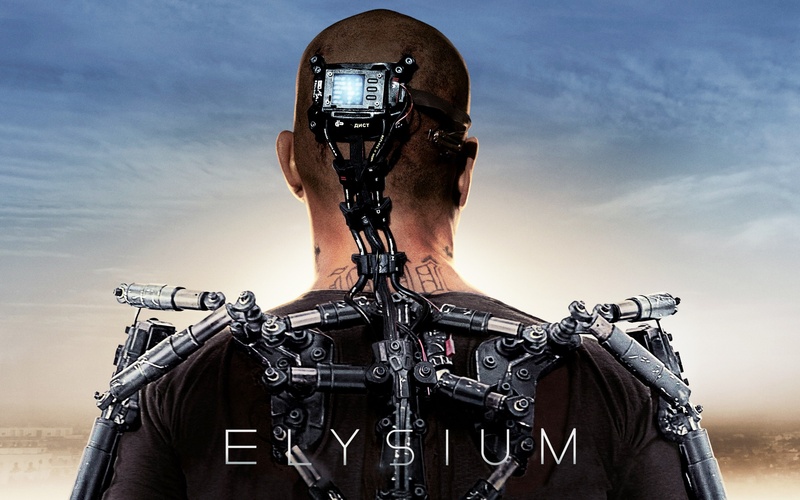 Once again weaving an original narrative with impressive visuals, Elysium proves to be a fine sophomore effort. In 2154, humanity has been divided into two classes, with the wealthy living on a man-made space station, Elysium. Elysium houses state-of-the-art medical equipment, whilst the rest of mankind have been left to suffer a miserable existence on an overpopulated Earth. One of those unlucky citizens is Max DeCosta (Matt Damon), an orphan who grew up stealing cars, and is now trying to lead a law-abiding life. However, when an industrial accident leaves him with only five days to live, the only place that has the medicine he needs to survive is Elysium. Turning to old criminal acquaintance Spider (Wagner Foura) for help, Max is soon outfitted with a door-opening exoskeleton. 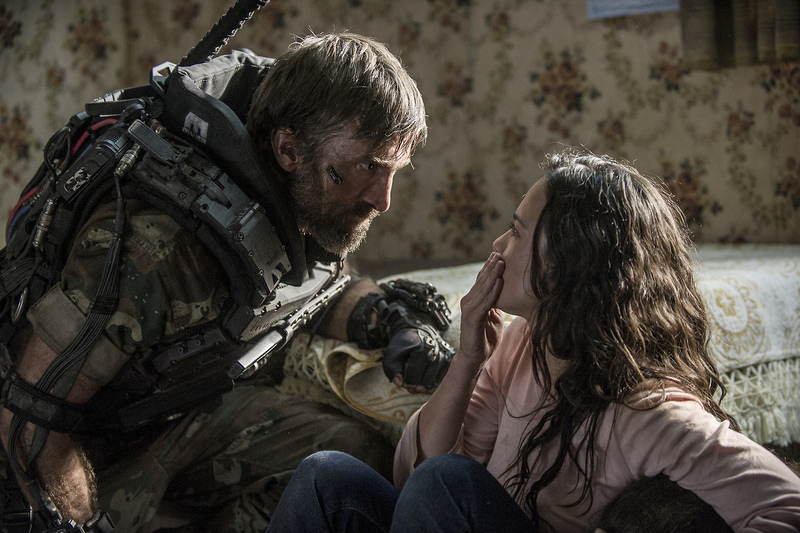 However, his road to Elysium is paved with obstacles, not least of which is the stalwart Madam Secretary Delacourt (Jodie Foster) and her psychopathic agent Kruger (Sharlto Copley). Much like District 9, Blomkamp’s follow-up is laden with subtext. The divide was previously between humans and aliens, but here the issue is one of class. The opening shots establish that chasm effectively and beautifully; Earth is a ravaged wasteland where people struggle to find work on a daily basis, whilst Elysium is painted as an immaculate utopia, the place that all the have-nots dream of going to someday. It all looks stunning, and whilst Blomkamp’s world bears unsubtle similarities to the world today, Elysium never becomes preachy. Most of the thought-provoking themes are digested through the Max’s eyes, and despite the fact that the character isn’t the most likeable guy, Damon makes it easy to root for him. Max’s journey is a slightly predictable one, but it’s still fascinating to see why the driving force behind his actions change and evolve. Key to that is his renewed relationship with childhood friend Frey (an affecting turn from Alice Braga). The action sequences – which pits Damon’s Max against Copley’s Kruger – are often brutal. In Kruger, Copley has created one of the most compelling and downright scary villains of the year. It’s an over-the-top, scene stealing performance. In addition, sci-fi fans will enjoy discovering the futuristic, videogame-like weaponry Blomkamp has populated his world with – high-tech shields and heat-seeking bullets are just the tip of the iceberg – and though the slow motion is a tad overused, the visuals are spectacular. With that said, there are some sequences that are plagued by jarring editing. The supporting players are equally impressive in their roles. Foster’s accent has proven to be divisive thus far, but in every scene she’s in her presence is felt. Other standouts include the aforementioned Moura as a determined and optimistic tech rebel, whilst William Fichtner makes good use of his limited screen time. Elysium is one of those rare blockbusters that manages to be entertaining whilst also having something relevant to say. That Blomkamp is able to package the film into a brisk 100-minute run time makes it all the more impressive. The director hasn’t made many films, but so far he’s two for two. This entry was posted on August 10, 2013 by Amonymous. It was filed under Film Reviews and was tagged with Alice Braga, Elysium, Jodie Foster, Matt Damon, Neill Blomkamp, Sharlto Copley, Wagner Foura, William Fichtner. Not as good or thought-provoking as District 9, but still a pretty awesome sci-fi flick. Good review Amon. Great review. Really want to check out Elysium! One of my most anticipated of the year!